Summer and family vacations go together perfectly. Summer vacations spent together as a family allows for you to make new memories that your children will never forget. If you are getting ready to plan the perfect summer Myrtle Beach vacation, then you will want to check out our top three summer Myrtle Beach hotel deals so you can get the best special for your family. This deal is great for families because it includes up to 30% off your Myrtle Beach accommodations, daily breakfast for two and one hour of bowling per day, which includes shoe rental AND a $50 game card to use in the Level 6 Entertainment Center. You can start your day out with an oceanfront breakfast at our Vista 9 restaurant, spend your day at the beach in the sunshine then cool off with an afternoon of bowling at the on-site Level 6 Entertainment Center. This family-friendly deal is valid for the entire summer, so you can choose your vacation dates. This two free night deal is great for those planning to spend a whole week at the beach. This deal is valid for Friday, Saturday or Sunday arrivals during the summer. How it works is you pay for five nights of your vacation at the house rate and you get two nights for free, totaling a seven-night Myrtle Beach vacation! Learn more here and hurry; there are a limited number of reservations available to be booked at this rate. A great special for those who don’t want to have to worry about arriving on a specific day of the week. This special is rather flexible, making it easy to receive great savings. Under this special you can receive up to 35% off your family’s summer Myrtle Beach vacation. Click here to learn more and book. Summer is sure to be a fun time in Myrtle Beach. 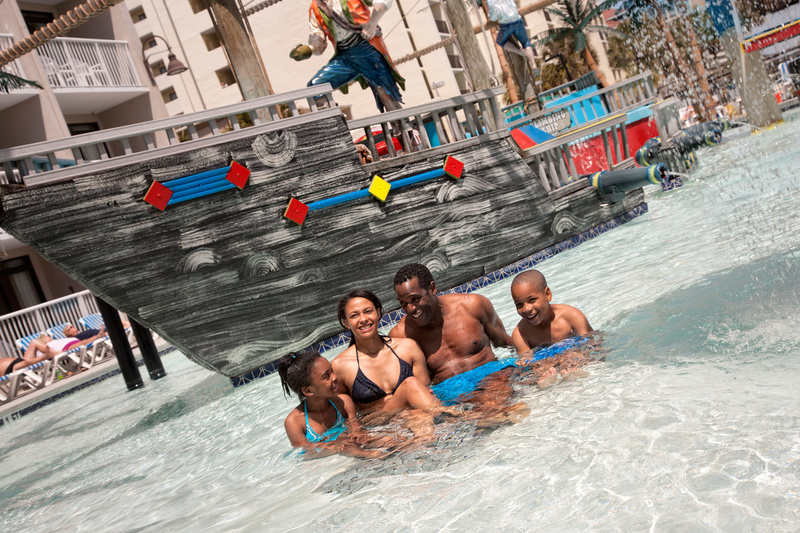 With our summer children’s activities, plentiful amenities and warm sandy beaches, you can make new family memories and save money just by staying at Captain’s Quarters Resort! Book your Myrtle Beach vacation today!